Think Tank Photo has been making great bags for photographers and getting rave review for a while now. Think Tank Photo just stepped up to the video field as well with a huge new product, the Multimedia Wired-Up Collection, which is a modular system designed with video (and audio) in mind. If you’ve been messing with cords and cables while trying to get some great video and audio material, you might want to take a closer look at the Multimedia Wired-Up Collection over on Think Tank Photo’s website. In the above short film, you see the effect of the Snooricam in action, along with a Nikon D90 attached on the long end. The Snorricam, named after Einar Snorri and Eiour Snorri,or the “Snorri Brothers”, is a body mount for a camera which is used to create an interesting point of view, which can be seen in such movies as I Am Legend, Slumdog Millionaire, and The Hangover. See the how-to video below. Photography Review has posted a review of the Nikon D90. In just about every situation the D90 was able to keep up with, if not exceed the performance of my D200. On more than one occasion I even left the D200 in the bag and shot my editorial work with the D90. For the latest news and reviews, visit Photography Bay’s Nikon D90 Reviews and Resources. 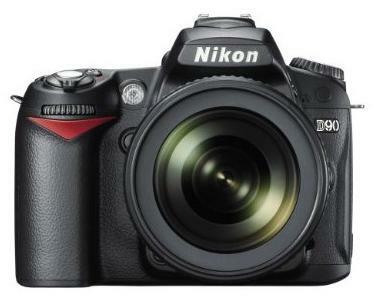 Buy-n-Shoot has posted a review of the Nikon D90. The D90 is a genuinely well-crafted DSLR from Nikon that covers all of the bases that a mid-range unit should, as well as providing a host of additional features and controls that are well and truly pushing the D90 towards semi-professional territory. Introducing the DSLR Gunstock Shooters from Steve Weiss, Zacuto USA on Vimeo. Shortly after the Canon 5D Mark II and Nikon D90 cameras were announced last Summer, Zacuto brought us some really cool video accessories to turn these hybrid-DSLRs into pro-capable video cameras. Well, Zacuto just made things a lot better with their new gunstock rigs for DSLRs. The key here is not to encage with metal, keeping it light at 6.5 lbs. including camera & follow focus make it the only true portable capable of shallow DOF. They also became much more reasonable in price, going from the $5k range down to the $2k range. More details on Zacuto’s site. Nikon D90 owners, here’s a new book from O’Reilly to help you familiarize yourself with the D90’s photo and video capabilities, while helping you to be a better photographer along the way. 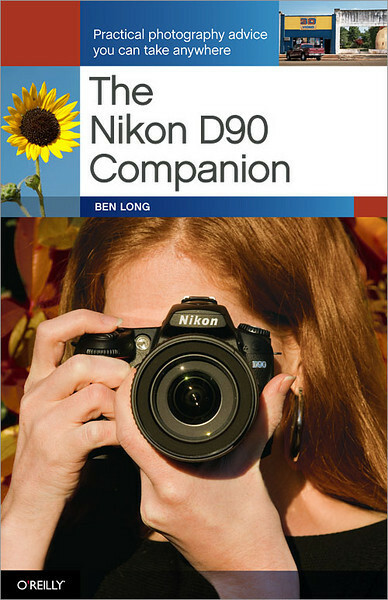 The Nikon D90 Companion lists for $24.99; however, it is available for $16.49 at Amazon.com.